Business intelligence software platforms are continuously getting better at making sense out of ever-increasing amount of data while doing it faster too. And more BI users are no longer IT staff: they’re now employees with a fair amount of technological know-how looking to harness the power of BI to get a competitive advantage. One of the more known BI software solutions is Microsoft Power BI. It leverages the tech giant’s big data and I.T. infrastructure, but it is by no means your only choice. In this guide, we present the top 10 alternatives to Power BI, one of which should fit your requirements. What are the top 10 alternatives to Power BI? As a result, business intelligence developers are pushing down the barrier of access to these class of software: no longer is it simply enough to have excellent analysis or data warehousing features; they must also be usable for employees who fall somewhere in the middle of BI layperson and the data expert in the IT department. In fact, TDWI research found that 63 percent of the time, big data analysis is used by departments other than IT and that the role of business side is steadily increasing for business intelligence and analytics. Of course BI players did not take these new developments sitting down: in fact, many of the leading BI vendors found a way to meet the new challenges, and these include agile, smaller companies that extended data visualization capabilities to their systems by giving their interfaces a total face-lift. You can learn more about this development in our guide to data visualization software. Before we give you the run down on the top 10 alternatives to Power BI, let’s find out more about this solution. Power BI is a suite of business analytics tools that deliver insights throughout your organization. It allows you to: connect to hundreds of data sources, simplify data preparation, and drive ad hoc analysis; produce beautiful reports, then publish them for your organization to consume on the web and across mobile devices. It lets users create personalized dashboards with a unique 360-degree view of their business and scale across the enterprise with governance and security built-in. Microsoft Power BI converts your data into stunning and comprehensible visuals, making it easy for you and your company to gather information, organize and devise effective business strategies. The system is created so that you stay in the know, to identify trends as they occur, and to steer your business towards success. The platform also helps users track their business and derive answers fast via robust and comprehensive dashboards that are available on every device. Initially designed as an add-in for the Microsoft ecosystem, it eventually evolved into a fully functional product that sits at the top of the self-service BI market. Self-service business intelligence (BI) tool Microsoft Power BI has proven to be a solid business intelligence platform that already has a large following and support ecosystem. Microsoft continues to expand Power BI’s capacity through new connectors (a MailChimp Database, for instance), so users can improve the quality of their campaigns, query directly their Server Query Language databases and Spark data sources. Just recently, the company launched Power BI Embedded, a new and powerful version with extra reporting capabilities that can easily be embedded into custom developers’ apps. Users like how it enables them to publish their reports and visualizations directly on the web, letting them target social media posts and emails. This makes them accessible to everyone who may be interested in them. Additionally, Microsoft offers a tool called Personal Gateway to authenticate additional on-premise data sources currently located outside the firewall. However, the tool functions only on Windows operating systems to enable connection to cloud-hosted analytics. Power Query data sharing. The system’s core capability is hailed for eliminating many data loading concerns. Data is imported automatically and can easily be sorted, filtered, and modified before you’ve loaded it to Excel (for instance, taking back a month-old data from a 10 years old database). You can also connect Facebook and oData files and share them as separate workbooks. Non-technical and IT-free accessibility. Power BI alters the notion of analytics being reserved for busy IT departments by making complex operations accessible to non-technicians. Without so much of an experience, you can connect it to any data source and summarize the findings in any type of report. Microsoft’s DAX query language. Instead of Excel’s cumbersome formula language, Microsoft Power BI relies on Power Pivot to develop and execute analytic measures. This allows for a comparably shorter learning curve than any other BI or discovery system. Desktop app built into Excel. Another unique possibility offered by this system is that you can download a dedicated desktop app to build your Excel summaries and visualizations. Using Power Query, Power Pivot, and Power View extensions, you will also be able to combine large data sets and share them easily on the web. Gives you enterprise-level reporting capabilities. With a total of 7 years changing experience, Power BI eliminates the need to use external, enterprise-grade applications to prepare reporting suites. The system is connectable to each and every data source, so you can basically use it to report on any matter. Simple and free sharing. The traditional way to manage report sharing is to include such inexpensive and premium packages, but that’s not the case with Microsoft BI – This system allows users to email reports directly from the platform, and embed them on any web page. Makes use of all data sources. Power BI doesn’t restrict connectivity—you can process data from Salesforce, MailChimp, Google Analytics, QuickBooks, Azure, oData, local libraries, and even Facebook. Gives you large number of customizable visualizations. With Power BI, you can arrange your data in all types of charts including Bubbles, Table Heatmaps, Tornado Charts, Tadpole Spark Grids, Aster Plots, Histograms, Cards, and many more. Curated data and personalized views. Keeping an analytic team satisfied with Power BI will be very easy, as the system packs content in line with individual requirements. Each member will get a personalized dataset where he can only see the business metrics that matter to him. Unlimited access to on-premise and in-cloud data. Power BI collects and stores all your on-premise and cloud information in single, more centralized location that you can access whenever and wherever as required. You can also leverage pre-packaged content packs and built-in connectors to streamline the importation of your data from solutions such as Marketo, Salesforce, Google Analytics, and many more. Interactive and stunning visualizations you can share with wide audiences. Power BI turns anyone into a master of disseminating information the easiest way with its stunning visualizations and interactive dashboards that provide a consolidated live view of your enterprise and its performance. For the analyst at heart, Power BI Desktop delivers a free-form canvas for drag-and-drop data navigation and a very extensive library of interactive visualizations, simple report creation, and fast publishing to the Power BI service. Since Microsoft Power BI is a part of Microsoft’s suite of business products, it offers users tight integration with its other popular and widely used Microsoft business tools like Microsoft Excel, Azure, and SQL Server. Simplified answers to complex questions. With Microsoft Power BI, users are empowered by data, not overwhelmed by it. The system makes interaction with your data fast and quick, thanks to the use of the simple yet effective drag-and-drop gestures to identify trends and natural language queries to get lightning-fast answers. Immediate and fruitful collaboration. Power BI allows you to share dashboards and reports with the right people wherever you go. The system also provides you with the flexibility as it is compatible with the leading operating systems – Windows, iOS, and Android. Alerts will notify you about any updates or changes in your data so you can immediately work with your team to take immediate action. Access to a robust collection of learning materials. Despite of the fact Microsoft has a recognizable and intuitive interface that doesn’t take time to adopt, they made sure all complex analytic mechanisms can be understood in less than no time. Tip posts, video tutorials, presentations, and entire blogs are available for new users to maximize the potential of the tool, or find fast solutions to their problems without contacting customer support. Experienced agents are nevertheless a message away from helping them. Let’s not forget also Microsoft’s million+ user community where the user can exchange experience and have his questions answered. Reasonable pricing. Microsoft Power BI costs significantly less than what you’d expect to pay for such an advanced system – the Basic plan of this product with a data capacity limit of 1GB is available for free, while the 10GB per user-version costs only $9.99 per user/month. Collaboration using Office 365 is nevertheless available only in the paid plan. Unlimited connectivity. Microsoft Power BI’s developers ensured their system can blend into any software ecosystem, and the proof for that are the numerous connections to popular third-party software and Microsoft tools. As we mentioned even before, Microsoft is working continuously to expand the connectivity of this system, enabling users to import even more of their bases and data sources. 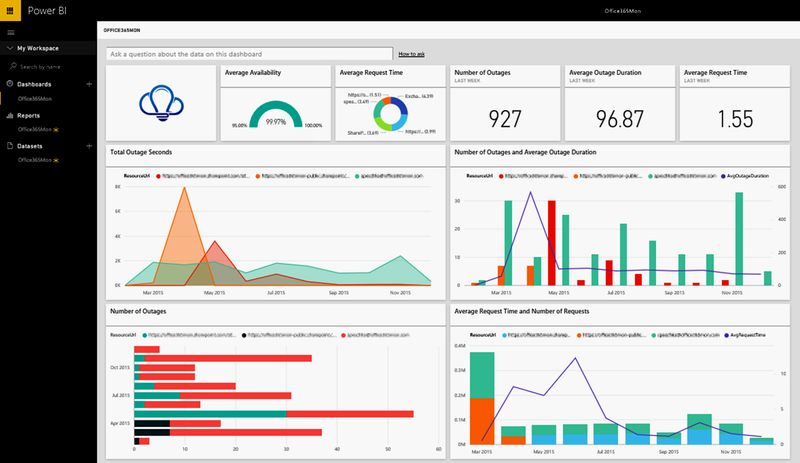 First on our list of top 10 alternatives to Power BI is Sisense, a business intelligence platform that lets users join, analyze, and picture out information to make more intelligent business decisions and craft out workable plans and strategies. It allows users to unify all the data they ever need and want into visually appealing dashboards via a drag and drop user interface. Sisense lets users turn data into highly valuable insights and share them with colleagues, business partners, and clients via interactive dashboards. Sisense is the leading business intelligence software for many companies, ranging from startups and developing enterprises to Fortune 500 giants including NASDAQ, Sony, ESPN, Comcast, and NASA. You can see the software in action with all its features at no cost when you sign up for a Sisense free demo here. Why choose Sisense instead of Power BI?  If Sisense does not cut to your requirements, you can look at these Sisense alternatives for more options. Looker is a data-discovery application that offers an intuitive approach to data exploration. It provides a web-based interface that you can use to gain insight from the expertise of your data analytics team. They can create and share reports easily for the benefit of other functional groups, effectively helping businesses drive their activities and decisions in the right direction. Looker offers flexible pricing and open API integrations. The interface is intuitive and the app is designed to eliminate data bottlenecks. More than 700 global companies use Looker solution to boost customer satisfaction and gain information from their website traffic. You can use its offered free demo to learn about the system’s features before you invest your money. If you want to test the features, the vendor offers a comprehensive way: simply sign up for a Looker free demo here. Why use Looker instead of Power BI? LookML. Looker is best-known for developing an easier approach to data analytics, a brand-new database query language call LookML. The language operates like a simplified version of SQL which is reusable and modular, and thus way easier to learn for first-time users. Workbook analytics. Looker adopts your company’s unique business logic. Connect it to any of your relational databases (BigQuery or Redshift, for instance) and it will automatically generate a data model based on your schema. A variety of field parameters. With Looker, you can define fields with a number of field parameters, including dimensions and dimension groups (manipulation-prone columns and tables), measures (alike aggregate SQL functions that provide row information), and templated filters (unique to the user, he can create new ones upon need). For more options, we present these other Looker alternatives. Qualtrics Research Core is an enterprise market research platform trusted by over 8500 brands and 100 schools across the globe. Built to help users drive better business decisions, this is the first software solution to use AI in analyzing survey data for predicting market trends. It consists of a set of advanced intelligent features called Qualtrics IQ. Powered by machine learning and artificial intelligence, these tools aim to make sophisticated research simpler. You can use all the features for free for a period of time to see if the software matches your needs. You can try its features for free. Simply sign up for a Qualtrics Research Core free trial here. Whether you want to track consumer behavior, benchmark your company against competitors, conduct academic research, test products, or analyze your advertising efforts, Qualtrics Research Core can simplify and optimize it for you. This platform offers a plethora of state-of-the-art tools that can let you create, test, and modify surveys in an instant, so you can get actionable business insights as quickly as possible. Why use Qualtrics Research Core instead of Power BI? It has a expert, skilled professionals who are available 24/7 by phone, email, and chat to help you. This way, you won’t have to worry about experiencing lengthy downtimes. It offers both in-house implementation and can also partner with industry specific companies such as Walker, JD-Power and Kantar. It offers a Text IQ capability. Equipped with artificial intelligence and natural language processing, this tool analyzes open texts for you. It will then suggest relevant topics and assign sentiment scores to individual text comments. It eliminates the guesswork from the planning process using its Driver IQ function. Providing you with real-time data on your customers’ experiences, this tool will automatically correlate this information to prioritize the key drivers of your business. It can also predict the actions that will reap the best possible business impact to help you optimize your campaigns. Overwhelmed by the powerful features of Qualtrics Research Core? If simpler is more your cup of tea, then look at these Qualtrics Research Core alternatives too. Zoho Reports is Zoho’s self-service business intelligence and analytics software that allows you to create insightful dashboards and data visualizations. Created for startups, medium-sized companies, and everything in between, this software has a low learning curve that makes it quick and easy to implement. Moreover, the vendor offers flexible and competitive pricing plans. For a growing company, there is an enterprise version available that’s more intuitive than what most competitions offer. To get to use all its features for free you can easily sign up for a Zoho Reports free trial here. Easy to setup and fast to implement, Zoho Reports lets you get started in just a few days, saving you huge amounts of time and effort. The tool’s spreadsheet-like interface as well as its intuitive drag-and-drop based reports designer make it very easy to learn and use for any business. Why use Zoho Reports instead of Power BI? Connect to any data source. Import data from files, feeds, databases, cloud drives, popular business applications and in-house apps. Visual analysis. Create reports and dashboards, with an easy drag-and-drop interface. Use different BI visualization tools, to drill down to specifics. Secure online collaboration. Share and collaborate on reports and dashboards with your colleagues privately, and reach a consensus quickly. Data blending. Combine data from different sources to create cross functional reports, and thereby get more insight into your business. Powerful formula engine. Build formulae using an easy to use formula engine, offering extensive mathematical and statistical functions. You may check out these Zoho Reports alternatives for more options. ReportPlus is a data visualization software that enables you to visualize your significant business metrics in a centralized platform. It gives you real-time dashboards, interactive reports, and accessibility anywhere at any time to monitor and stay on top of your business processes’ performance. The service is accessible via any device, such as Windows and Mac desktops or iOS and Android smartphones and tablets. An appealing test drive of all software features is available to you when you sign up for a ReportPlus free trial here. The software offers architecture diagrams that are uniquely designed for accessing your data whether it’s on-premise or in the cloud. Its cloud-based solution connects your data to cloud services, on-premise SQL databases, and local Excel spreadsheets in real time. It allows the creation and analysis of dashboards anywhere and empowers self-service BI without an IT professional’s assistance. This empowers your staff to create, edit, and share dashboards while in the office or on-the-go. The on-premise solution is IT-friendly that guarantees a worry-free installation and maintenance. As it’s deployed on-premise or on a private cloud, web reports are available to your entire organization’s access. Why use ReportPlus instead of Power BI? It has unlimited embedded dashboards within apps to expand your reach, market faster, and build a custom branded BI solution. It defines service engagement by ensuring users enjoy a built-in partnership and product support. This includes training, architecture workshop, installation, and dashboard creation. It gives you more than 30 visualization types to choose from to match your needs in conveying your data effectively. This simplifies the process of creating robust dashboards as you can style them with preset themes and further apply customization by modifying fonts and colors. It lets you create custom data visualizations and then easily embed it into your next app. Regardless of the device and location, your dashboards will maintain your brand’s look and feel and reach your application users with a variety of platform options. If you still need more options, check out these ReportPlus alternatives. QlikView is a Business Intelligence (BI) data discovery product for creating guided analytics applications as well as dashboards designed for business challenges. It is equipped with an Associative Data Indexing Engine to help you consolidate your data and get in-depth insights to reinforce decision making efforts. Unlike traditional systems, QlikView exposes data that is not revealed with query-based tools. The tool also offers guided exploration and discovery and collaborative analytics for sharing insights. You may even add custom apps for analytics on this platform without having extensive programming expertise. This helps drive quicker response to changing business requirements, shorter time to value, and more insight across a company. Why use QlikView instead of Power BI? It utilizes natural search to navigate complex information and accelerate discovery. Alongside its default connectors, QlikView offers custom connectors you can install upon need, including such that import data from Salesforce, Hive, Teradata, and other popular systems. This means that QlikView is perfectly applicable in all analytic scenarios, both when you’re running a small and local business and when performing enterprise-grade big data analytics. It allows you to create personalized, data-driven discoveries with guided paths and analysis. All discoveries are tightly governed and highly customizable, which means that your employees will be guided while developing insights, and instructed on how to use those to make more meaningful business decisions. QlikView offers four pricing plans: Personal Edition, Enterprise Edition, Extranet Server, and Information Access Server. It also offers the QlikView Publisher, which is licensed on a per-server rate. For more options aside from QlikView, see this list of other QlikView alternatives. Launched in 2003, Tableau is a business intelligence system that helps companies visualize and understand their data. Using a revolutionary approach, the solution allows businesses to quickly connect, visualize, and share data with an efficient, seamless experience all the way from the PC to the iPad. You can create and publish dashboards and share them with partners, colleagues, or customers—without the need for programming skills. If you’re already using a Tableau Service (Tableau Online or Tableau Server), there will be no obstacles to let data flow seamlessly from one platform to the other. Tableau Desktop is a self-service analytics solution that allows you to look at data and answer questions rapidly. Tableau Server enables you to publish dashboards from your Tableau Desktop on any web browser or mobile-based device. Why use Tableau instead of Power BI? Powerful analytics. Interactive, visual analysis lets you untangle thorny business questions and quickly get to the insights that propel your business forward. Powered by its patented VizQL technology, Tableau gives you powerful analytics to ask deeper questions and deliver more meaningful answers. Powerful, comprehensive platform. From connection through collaboration, Tableau gives you powerful, secure, and flexible end-to-end analytics platform for your data. Using Tableau for your data ensures your expectations are more than met. Connected to multiple data sources. Tableau’s productivity suite allows you to connect it to a number of data sources you’re already using, import and visualize data in a matter of minutes. Unique technology gives it 10 to 100 times faster data analysis mechanism than the one its competitors can offer. Multiple options to interact. Put your data anywhere you need it. With Tableau, you can securely consume your data via browser, desktop, mobile, or embedded into any application. Intuitive and easy interface. Tableau is incredibly easy to use, allowing you to bring data for analysis with few simple drag-and-drop moves. This means that the product is intuitive even for non-savvy users, and doesn’t take time, programming knowledge, or expensive training for teams to get grasp on it. You may check this Tableau alternatives for more options. SAP BusinessObjects Lumira is a business intelligence system that allows enterprises and organizations to visualize their business data on self service, and to collect and analyse all relevant information on one platform only. As massive your data can be, SAP BusinessObjects Lumira can tell the story of your business easily, giving presentations with predefined scripts and complex spreadsheets a business sense. SAP BusinessObjects Lumira is among the most popular SAP analytic solutions, integrated well with the rest of its productivity and BI suite to avoid using third-party software altogether. SAP BusinessObjects Lumira doesn’t only gather information, but it also analyses it, protects it, and generates detailed and accurate reports. Why use SAP Business Objects Lumira instead of Power BI? Tell your story with self-service data visualization. It lets you harness the power of Design Studio 1.6 data visualization software to explore and analyze data online with a simple-to-use solution. You can create stories with BI visualizations from all types of data that others can leverage, build on, and share. Create analytics applications and dashboards. Develop interactive, mobile-ready dashboards and analytics applications to collaborate with users and their data stories and provide fingertip access to actionable insight. Secure trusted access and scalability. Connect to data anytime, anywhere for deeper insights and informed decision-making on the go. Explore data with filters, drill-down capabilities, and hierarchical navigation. Access to SAP ecosystem. Extend product capabilities by using APIs and applications from SAP and its ecosystem to build sample apps, extensions, and open integration with SAP. Transform your business faster with help from SAP Digital Business Services. Jump-start your SAP solutions and drive ROI by collaborating with industry experts, consultants, and support engineers to receive guidance, prescriptive best practices, and expertise – no matter where you are on your journey. You may check out other SAP BusinessObjects Lumira alternatives for more options. Part of SAS Enterprise Solutions, SAS Business Intelligence combines business intelligence and analytics to enable users to discover and collect enterprise-level data. It gives you user-friendly, self-service business intelligence tools and solutions. It deploys real-time analytics directly to mobile devices and Microsoft applications, allowing decision makers to quickly view their business metrics and derive high quality and actionable data to help them make intelligent business decisions. SAS Business Intelligence and Analytics comprises six key modules including SAS Visual Analytics, SAS Visual Statistics, SAS Office Analytics, SAS Enterprise Guide, and SAS Enterprise BI Server. The main module SAS Visual Analytics, enables you to explore data visually, identify data relationships and patterns, and get deep insights from interactive visualizations. You can find metrics that are important for predicting and forecasting trends. You can use dashboard-based environments to generate insightful reports from a single place. SAS Visual Statistics offers a drag-and-drop interface that allows you to effortlessly create predictive and descriptive models. SAS Business Intelligence offers data support for Oracle, SAP HANA, Greenplum, Teradata, and Hadoop databases. 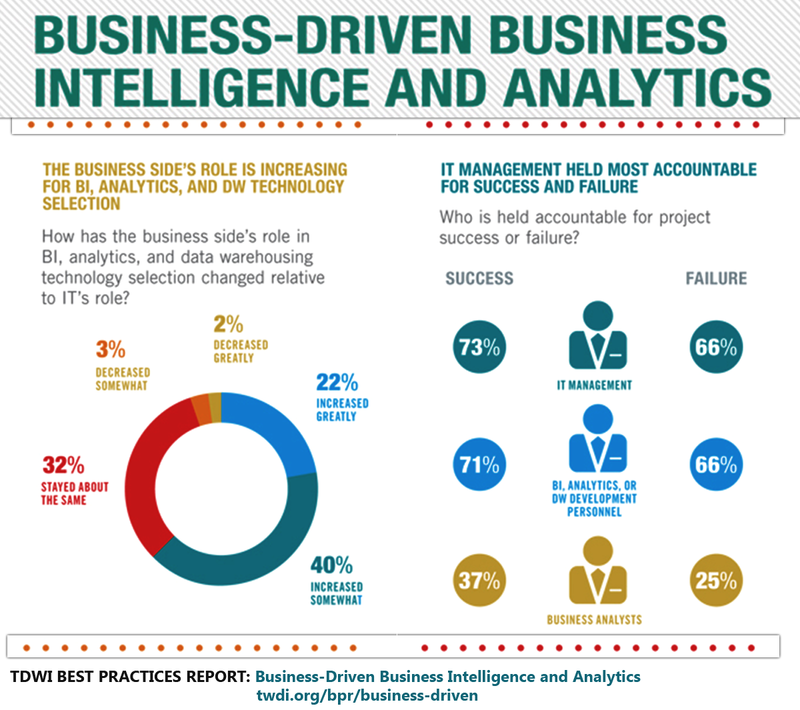 Why use SAS Business Intelligence instead of Power BI? The power of SAS Visual Analytics. As the heart of SAS Business Intelligence, SAS Visual Analytics lets you learn not just how many units of your business are having issues, but also at what steps and what interactions they are taking place. This allows you to trend the improvement immediately. SAS Visual Analytics easily empowers you to determine the best opportunities for each of your customer, which is more than any solution could let you do. Get the picture. Fast. Get blazingly fast insights by visually exploring all relevant data. Spot unknown patterns. Identify key relationships. Unearth hidden opportunities. Bring the “where” dimension into the spotlight. Enrich your discovery by getting answers to questions like: where do my customers come from? Where are most accidents occurring? You may look at these SAS Business Intelligence alternatives for more options. Last on our list of top 10 alternatives to Power BI is IBM Cognos, which features a set of smart self-service capabilities that enable you to quickly and confidently determine and make decisions on insight. IBM Cognos encourages business users to make or configure dashboards and reports on their own—while providing IT with a proven and scalable platform that can be deployed either on premises or in cloud. IBM Cognos Analytics gives you formatted and interactive dashboards that are of highly scalable distribution and scheduling capabilities, as well as custom visualizations. It comes with a wide selection of analysis tools, such as what-if analysis, advanced analysis, trend analysis, and analytical reporting. The self-service functionality allows users to interact with reports on mobile devices or even when they are offline and disconnected. Social networking tools facilitate collaboration within teams and enable companies to make the most out of the aggregate intelligence of their entire organization. Why use IBM Cognos instead of Power BI? Self-service analytics. What IBM Cognos Analytics is best known for is self-service analytics, thanks to which employees can upload and analyze data maintained by the IT department without necessarily relating their operations to what others in the company are doing. The same procedure applies for ad hoc and enterprise reporting, which means that you won’t have to purchase an enterprise-first tool as your business develops. Accurate and safe reporting. IBM Cognos Analytics emphasizes secure and certain reporting. As the administrator, you will get unparalleled capacity to set and adjust safety rules, and govern data access. Intent-based process modeling. With IBM Cognos, even non-technical users can pull data together and understand the indicators being presented to them. The system works independently to interpret both the attributes and their intent, and then searches for data sources that will match those attributes, and prepares possible scenarios. Cross-department predictive analyses. IBM Cognos utilizes a variety of sources to analyze current and past information, and predict further events. The same system can be used for online analytical processing, thanks to the point-and-click interface that helps users skip requesting information from other departments. Query Studio. One of the most useful IBM Cognos modules is Query Studio, a simplified reporting functionality that provides instant answers to important business questions. As simple as they are, these mini reports still come equipped with useful charts and diagrams. Event Studio. IBM Cognos Analytics comes with a special notification tool that detects the occurrence of business events and exceptional circumstances based on the condition of your data. Notifications can be sent via email, or be published on the company’s live portal. Extendable functionality. To make your IBM Cognos suite even more powerful, you can make use of several add-ons such as Go!Search, Go!Dashboard, and Go! Office. The widgets will help you add Microsoft Office components in your system, and perform full-text search of your documents and published content while connected with Google’s search engine. Go!Dashboard, on the other hand, provides access to a Viewer Portlet where all reporting elements are displayed as interactive and changeable units. See these IBM Cognos alternatives for more options.